If you grew up in the '90s, chances are you owned a Troll doll or knew someone who did. The tiny toys were ubiquitous and spawned a whole side industry, with movies, TV shows and video games catering to fans and collectors. 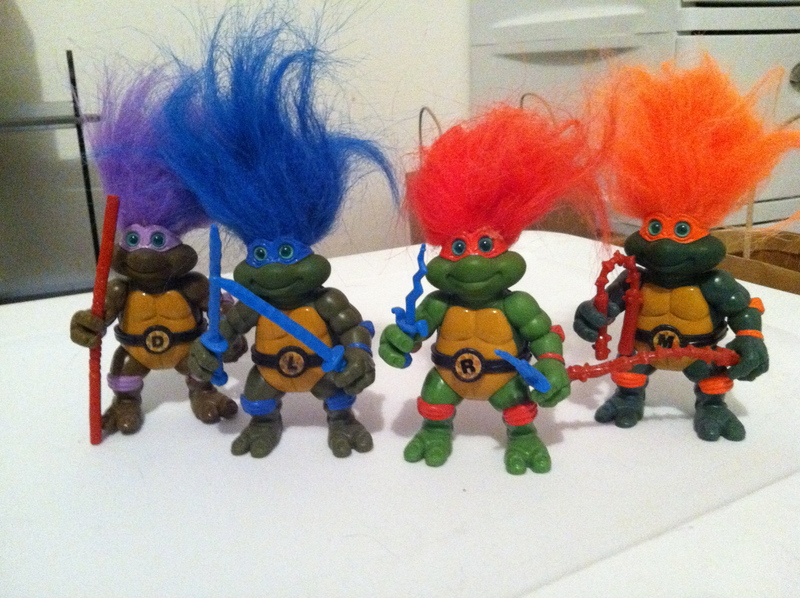 There were Teenage Mutant Ninja Turtle Troll dolls; Mighty Max Trolls dolls; even ones that liked to fight. But for a toy so popular, few know its history. Anna Kendrick, Justin Timberlake, Zooey Deschanel, Russell Brand, James Corden and Gwen Stefani all star in 20th Century Fox's Trolls, an animated family musical comedy that's sure to find a whole new generation of fans when it hits theatres across the country on November 4. The film tells the story of a Troll princess (Kendrick) who goes on an adventure with her pessimistic sidekick (Timberlake) to try and save their town and its inhabitants from being eaten by an evil nemesis. With all of that in mind, there's rarely been a better time to look back and see how the classic toy came to prominence. In 1959, a Danish woodcutter named Thomas Dam didn't have enough money to buy his daughter Lila a Christmas present, so he decided to make one himself. Putting his skills to use, he carved a small "Good Luck Troll" doll out of wood and the very first Troll was born. Soon Lila's schoolmates and other children in town were taking notice. Before he knew it, Dam was working out of a shed in his backyard, carving Trolls by hand and selling them at local fairs and toy stores. People came in droves. After a while it was hard to do things the old-fashioned way, so Dam began making clay moulds out of his dolls and recreating them with rubber, stuffing them with wood shavings, attaching glass eyes and sewing on sheepskin hair and tiny clothes. Business was so good the whole family had to get involved. With an increase in production came a need for a bigger space. Dam opened his first factory and named his company Dam Things. The first mass-produced Good Luck Trolls began to roll off the assembly line. In the 1960s, other countries in Europe began purchasing Dam's dolls, with even more being shipped off to the United States — Trolls were one of the most popular toys from 1963 to 1965, with a million being sold in 1964 alone (it was second only to Barbie in sales the year before). But for all his good business sense, Dam wasn't the greatest at reading the fine print. A copyright error allowed other manufactures to create cheaper knockoffs and imitations flooded the market, slowly leading to a dip in popularity. It would take over 20 years for the toys to make a full recovery. Flash forward to the late '80s. The E.F.S. Marketing Associates, Inc. began re-importing and marketing Trolls under the name Norfin (R) Trolls. By the 1990s, they were a hit and named "Toy of the Year" for the second time by the U.S. Toy Association in 1991. The next year, sales of Trolls and related merchandise swelled to $700 million USD (over $1.2 billion in today's dollars). Although primarily popular with young girls, the makers of Trolls tried to bring boys over by introducing more action figure-like lines. It all became a little too much. DiC Entertainment — the company behind shows like Inspector Gadget and The Real Ghostbusters, as well as the people who brought Sailor Moon to North America — made a 30-minute cartoon special Magical Super Trolls that's pretty trippy in retrospect; in 1992, Trolls on Treasure Island was released on the NES (it's widely considered one of the worst Nintendo games of all time); there was even a direct-to-video line called The Trollies Radio Show, in which Trolls would help you sing along to some of the biggest hits of the day. If you want to see something you'll never forget, here's a bunch of off-key, giggling Trolls covering the Beach Boys' 1989 hit "Kokomo." Once again, the toys and properties associated with it basically disappeared, save for a short-lived TV series called Trollz, which aired for just 25 episodes in the mid 2000s; a new line of toys were created, but they failed to take off. Now, after another two decades away from the public eye, Dam's delightful creations are ready to make their return, which should please Jimmy Fallon; the late-night TV host credits being gifted a Troll doll at his high school graduation as the reason he became a comedian. He explains in the player below. 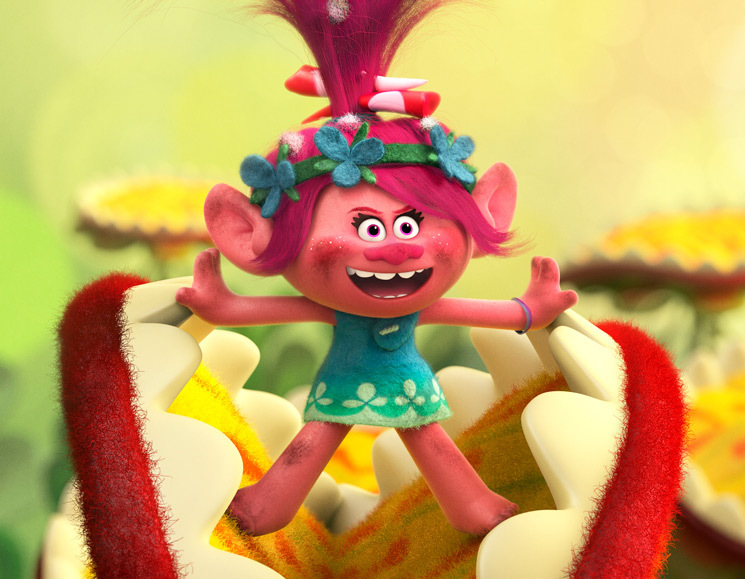 Trolls comes to theatres across Canada on November 4. Watch the trailer for the movie below.